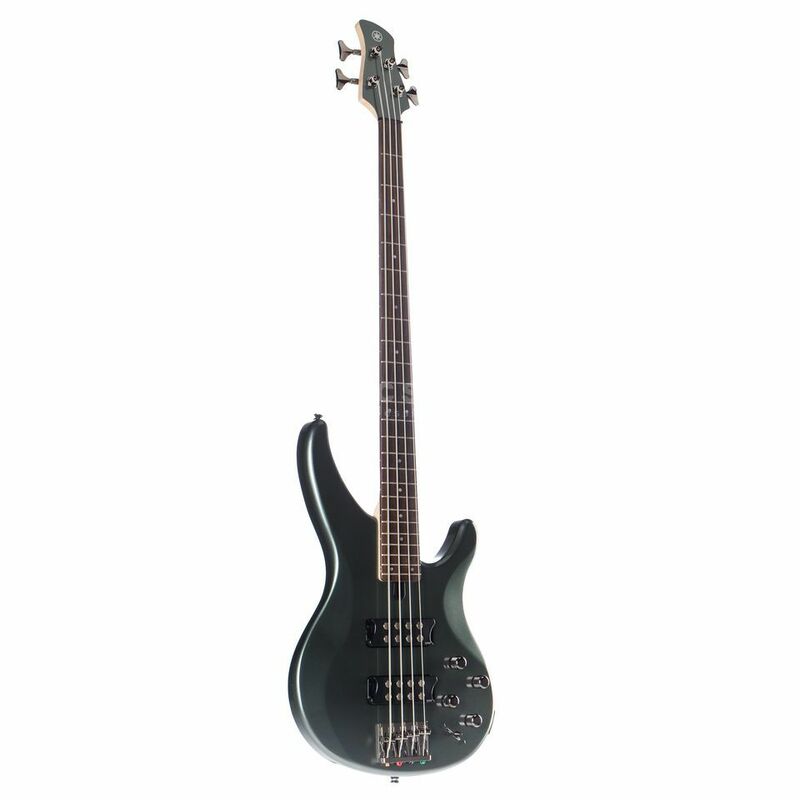 The Yamaha TRBX304 4-string bass guitar in Mist Green brings the best features of the acclaimed TRB and RBX models together in one instrument. The TRBX304 features a sculpted mahogany body that has been designed to provide the ideal balance between comfort and weight along with perfect weight distribution. Accompanying the body is a 5-piece maple/mahogany neck that is topped with a 24-fret rosewood fingerboard. On the hardware front, the Yamaha TRBX304 is equipped with a pair of ceramic M3 humbucker pickups that provide a clear and powerful tone that drips with depth and definition. These are connected to a 5-way EQ style switch that allows for 5 distinctly different EQ settings to be easily achieved. The look is finished with a high-mass die-cast bridge that is finished in black nickel. This is my very first bass. I am a completely bass starter. I played guitar before. However, it doesn't prevent me to give out my compliment to this product. It is a very beautiful piece of craftsmanship. the color is modern yet calm enough. I really like the design in general. The pickup, numbs, string, body, fret are all combined smoothly in one instrument. The preset eq is genius. They really produce different sounds. Musicstore did a great service. The shipping is fast and the package is very solid. I would recommend this bass to all starters (even immediate player I believe) for its sound and beauty.